An inside look at the Melewi design process. If you’re a creative, chances are you’ve heard the phrase “your gear doesn’t matter” at least a couple times in your life. It’s true — buying a full-frame DSLR won’t make you a professional photographer. And downloading Sketch doesn’t automatically turn you into a UI designer. But we all know what gear you have can play a huge role in what you’re able to create. Having a hammer and nails doesn’t teach you carpentry, but it’s impossible for a carpenter to build a house without the right equipment. The same goes for creatives. You can design an app with a pencil and notebook alone, but adding Sketch and InVision to the mix makes the process quite a bit easier. And when you’re a remote team, using the right tools to stay organized and effectively collaborate with your coworkers is even more important. 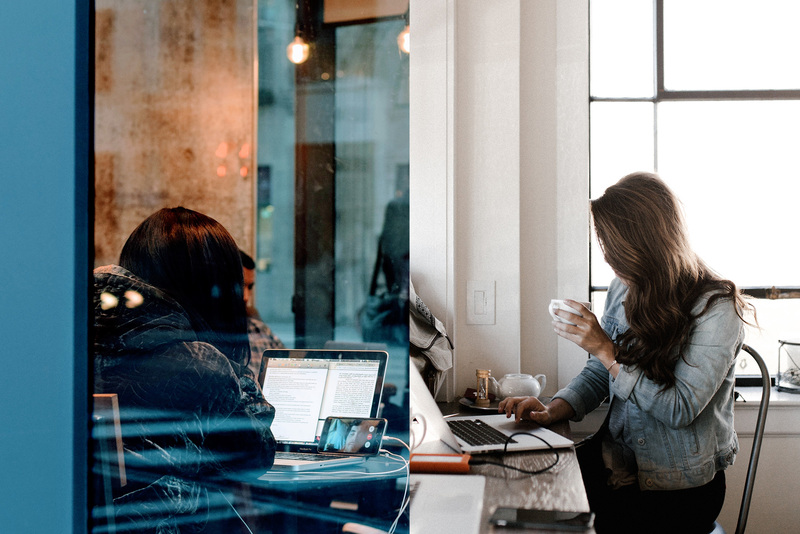 With today’s technology, running a business made up of team members all over the world can be just as easy as sharing an office space. Here’s a quick look at the main apps we use on a daily basis at Melewi — from how we communicate internally to what we use to craft designs for our clients. 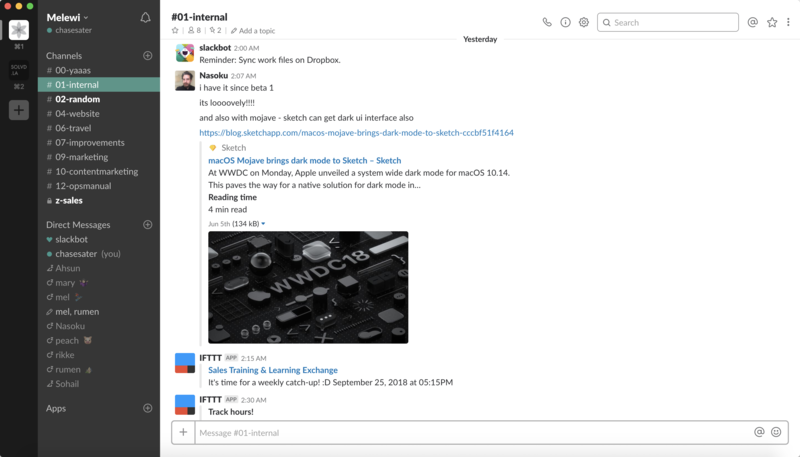 Is there anyone who hasn’t heard of Slack at this point? It’s now the fastest growing business app of all time, and back in May, it hit eight million daily active users. There’s a reason massive companies like Airbnb, Target, Ticketmaster, and Oracle trust Slack for their internal communication needs. Slack is like a digital office — it allows you and your coworkers to share a common space regardless of where you are in the world. We use it for quick progress checks, impromptu chats, and project collaboration. Slack is also super handy for tracking progress with third-party apps and quickly sharing assets with multiple team members. And of course, we also have channels like #yaaas and #random setup to celebrate wins and share GIFs with each other. Slack is mature and widespread enough now that we don’t really need to talk about its benefits over email — it’s a whole different beast. It would be almost impossible to run a collaborative remote business without it as your primary communication tool. This is another pretty obvious choice for almost any digital business nowadays. 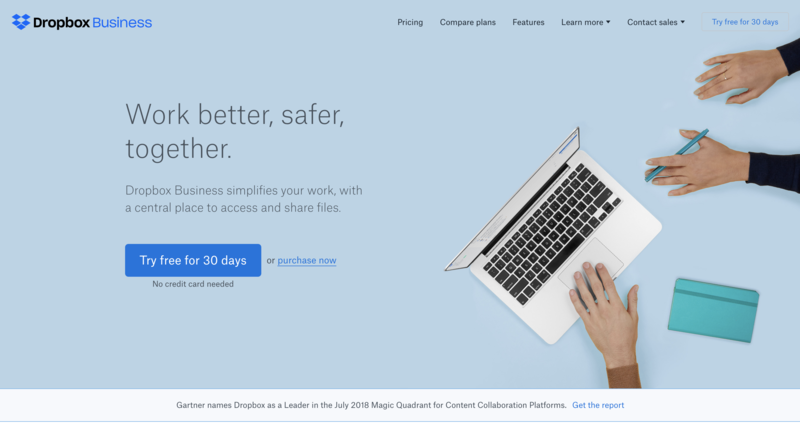 There are a ton of alternatives, but in our opinion, Dropbox is still the easiest to use and the most widely accepted method of sharing files. Dropbox’s desktop app makes it easy for us to sync design files and assets at the end of every day with a single click. Cloud-based design apps like Figma and InVision Studio may eventually reduce our need to use Dropbox internally, but it’s hard to imagine it ever getting replaced entirely. If you’re looking for a cheap, reliable, easy-to-use file sharing app that’s already integrated into a ton of different apps, Dropbox should be at the top of your list. RealTimeBoard may not be as well known as Slack or Dropbox, but it’s just as crucial to our workflow. At Melewi, we use RealtimeBoard exactly how a team in an office would use a whiteboard. It’s our place to lay out ideas, organize information, and start the wireframing process for our clients. We also use RealtimeBoard to plan out internal work because it just offers a bit more flexibility than a basic Google Doc. The templates already included are also pretty helpful for quickly laying out sprints and sharing your ideas. Sketch is to designers what Lightroom is to photographers — it’s become an industry standard. There are other choices out there, but we’ve found clients request Sketch ~90% of the time. 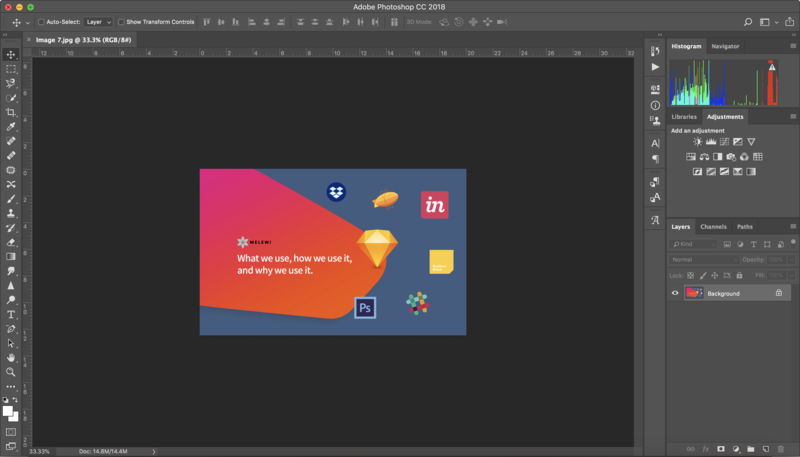 We still use Photoshop for image intensive projects and the occasional client request, but make no mistake, Sketch is definitely the better working environment for UI and web design. Sketch is completely vector based, and it already has a ton of third-party apps and integrations with other popular design tools that put it a cut above the other options. You can’t really beat the Sketch+InVision combo for creating quick prototypes and getting feedback from other team members and clients. We’ve experimented with popular alternatives like Figma and Adobe XD, but we definitely still get the most requests for Sketch — and we have no plans to jump ship at the moment unless the full version of InVision Studio blows our minds. The fact that it’s a one-time buy also makes it relatively affordable for teams… we all know how quickly those monthly fees can add up. Zeplin is one of the newest applications we’ve incorporated into our workflow. It’s important to remember that Sketch files aren’t usable. They may look pretty, but at some point, those mockups and style guides need to be turned code. Zeplin works in tandem with Sketch similar to InVision, but it serves a slightly different purpose. InVision is primarily for organizing prototypes and making clickable mockups. Clients love Zeplin because of how much easier it makes the handoff process. 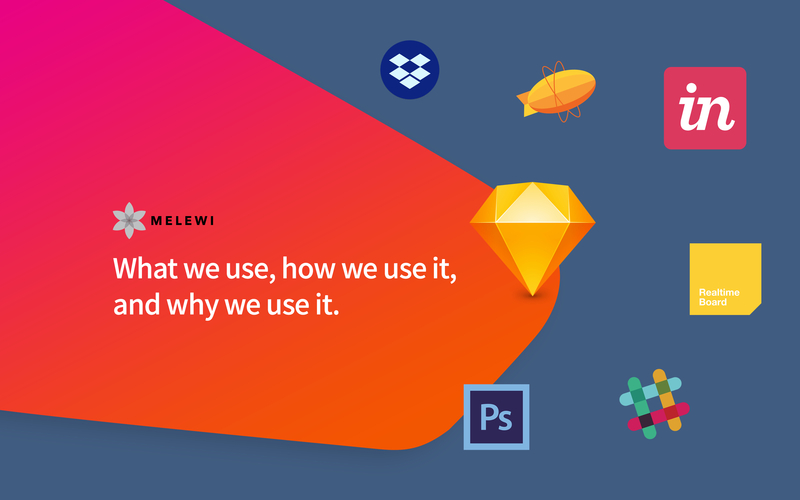 Zeplin is the final contact point between designers and developers. It makes it incredibly easy to download CSS snippets, take measurements, and exchange assets all in one place. As mentioned above, we still use Photoshop for image editing and the occasional client project, but most will admit it’s on its way out as a tool for web design due to its limited vector capabilities. That said, there’s still nothing out there more powerful than Photoshop for image editing. So until Sketch adds its own image editor, it’s impossible for us to give Photoshop up for at least some parts of our workflow. InVision is another pretty obvious choice for designers these days. When it comes to mocking up quick prototypes and sending screens around for feedback, it’s hard to beat InVision. We love InVision for its versatility — it works great whether you’re sending designs to clients or collaborating with coworkers. And with Sketch, you can upload designs to InVision and update mockups without leaving the app. We’re all about reducing the number of tools in our toolbox. Relying on fewer applications during the design process means less confusion and fewer opportunities for things to go wrong. Your gear can accentuate your strengths, but it can’t compensate for your weaknesses. We’re naturally good at communicating together as a team, and if you take a look at our current toolbox, most of the apps we use reflect that collaborative environment we thrive in. Different teams all work differently. How do you like to work? And what do you use to help you accomplish that?